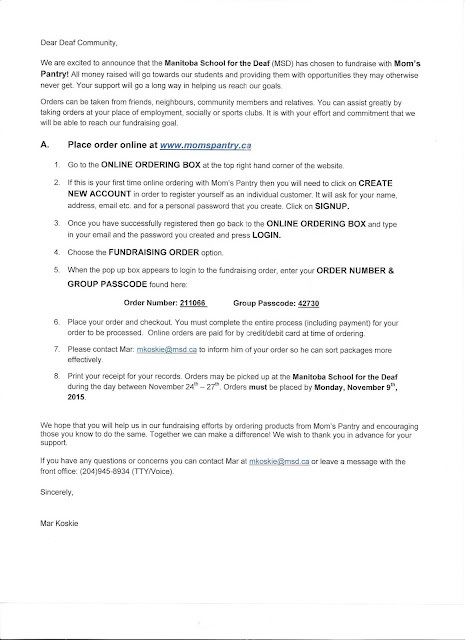 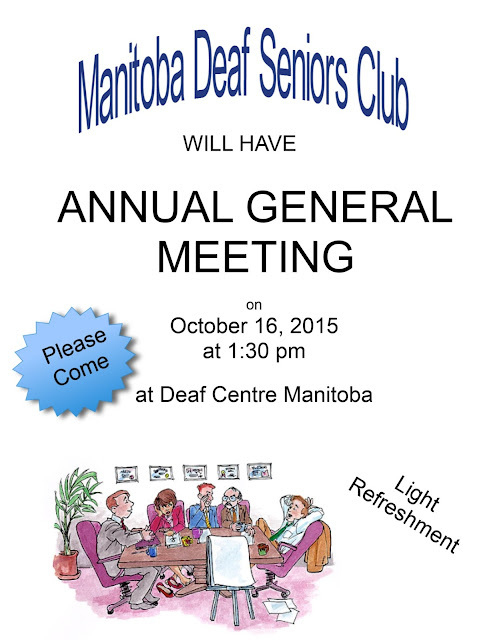 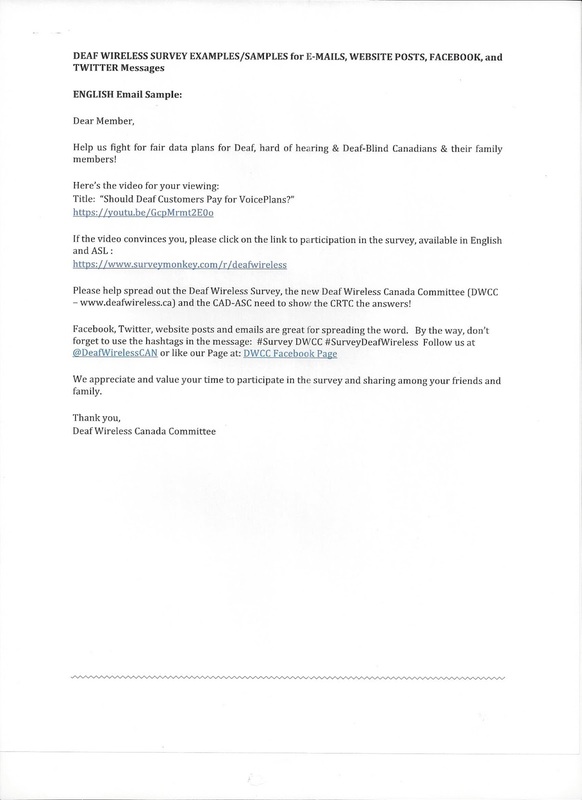 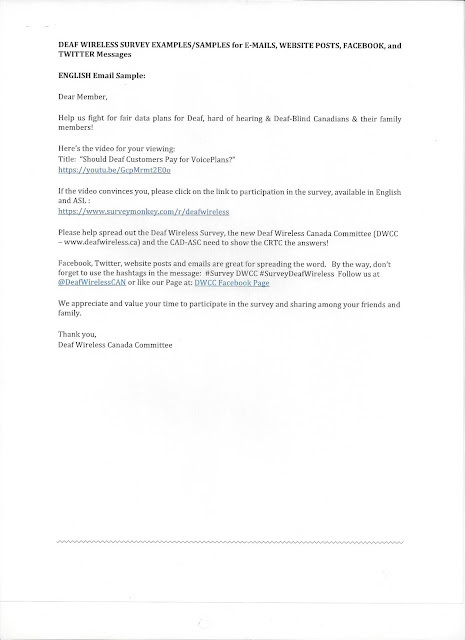 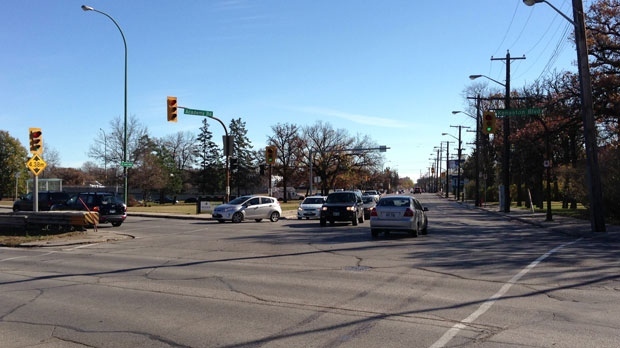 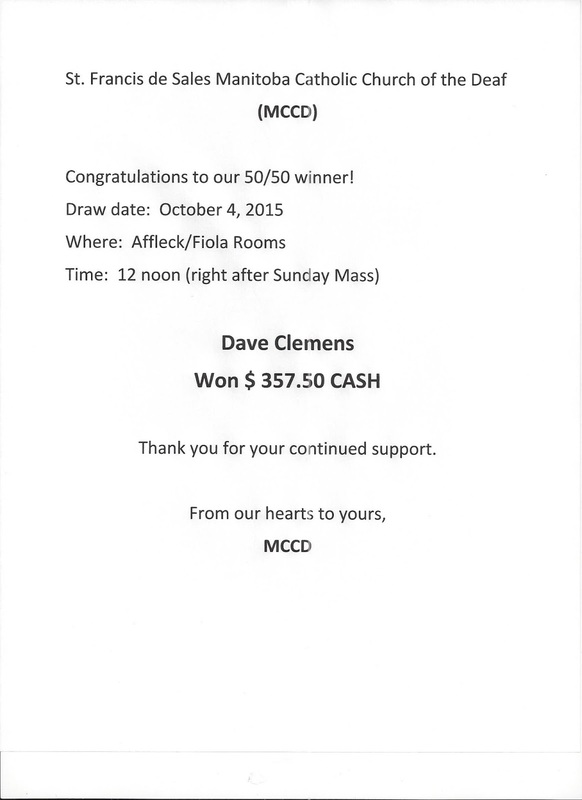 Manitoba Deaf Seniors Club (MDSC) needs new logo- Need your help to develop!! Friendly reminder for October 31st to change Fall hours for November 1st!! 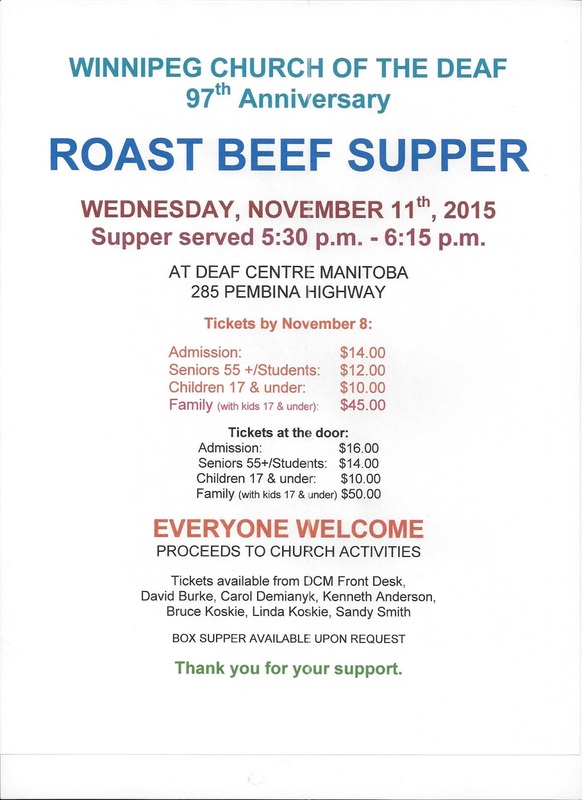 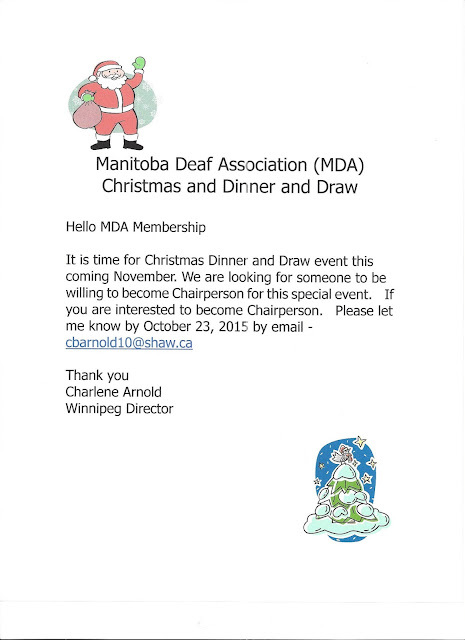 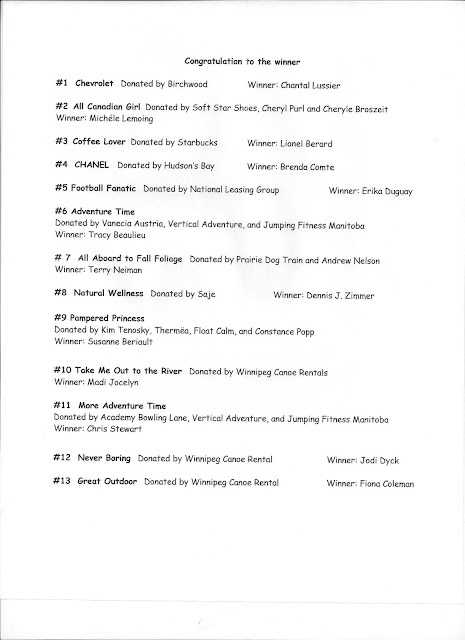 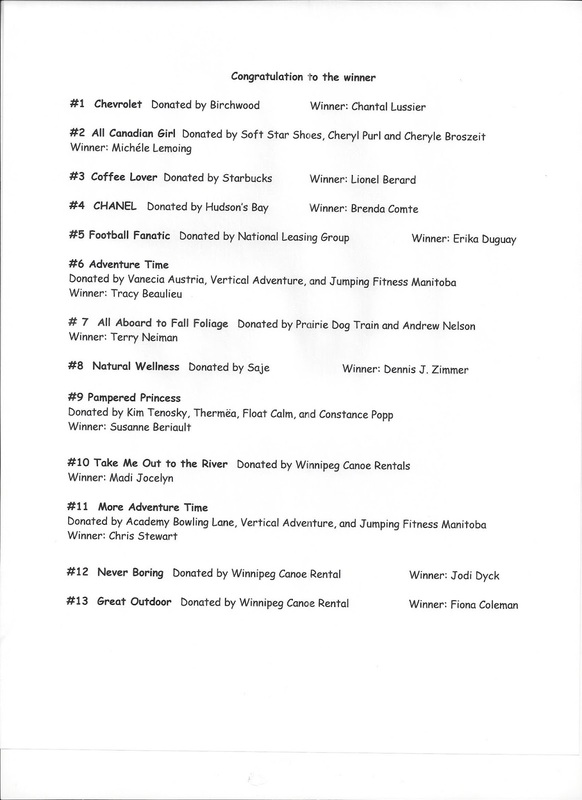 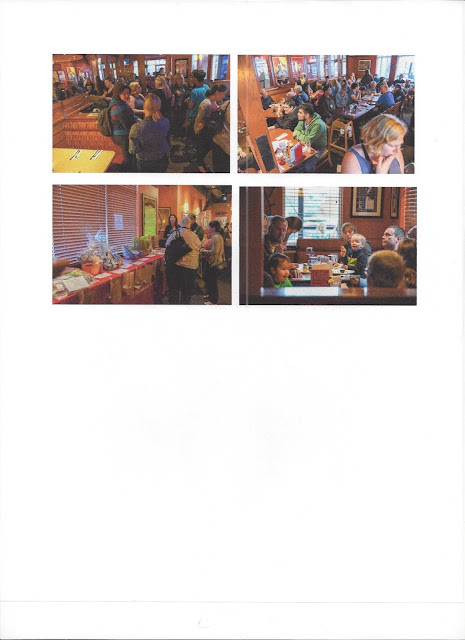 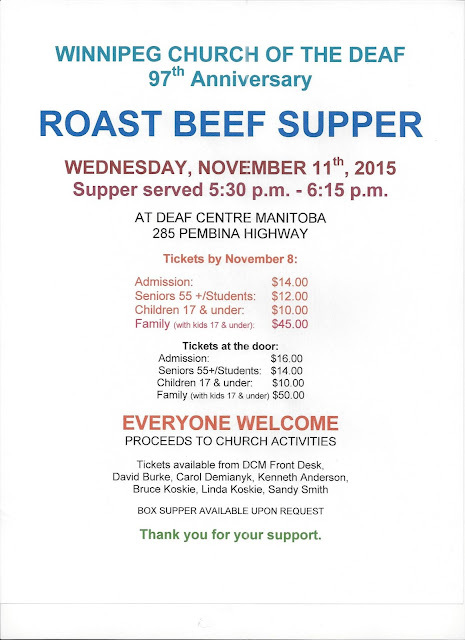 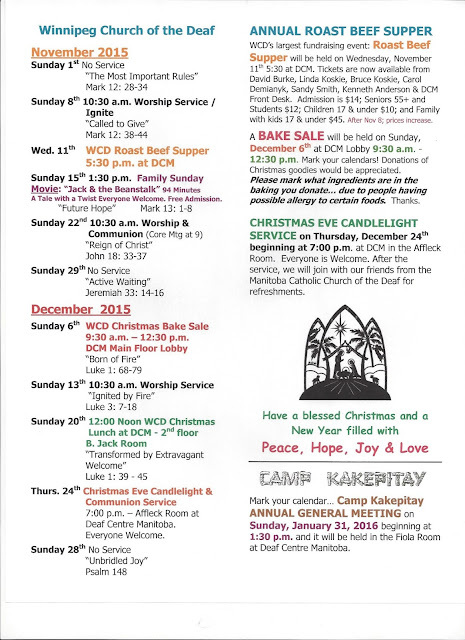 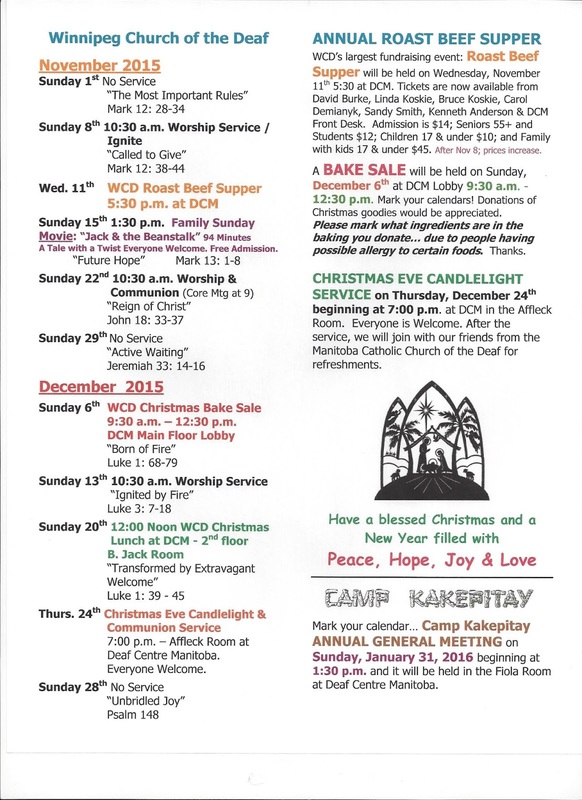 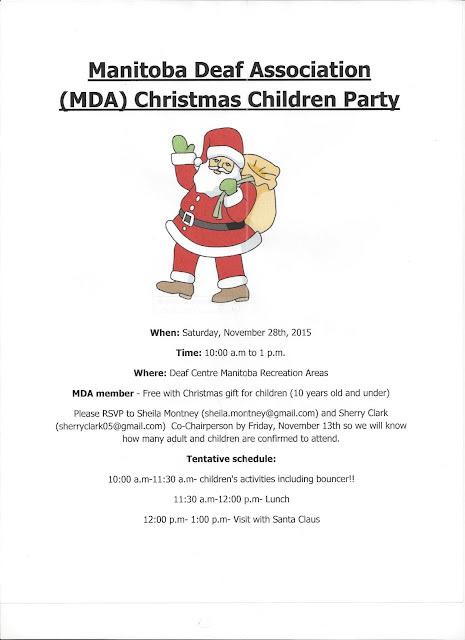 Manitoba Deaf Association (MDA Christmas Children Party- November 28th!! 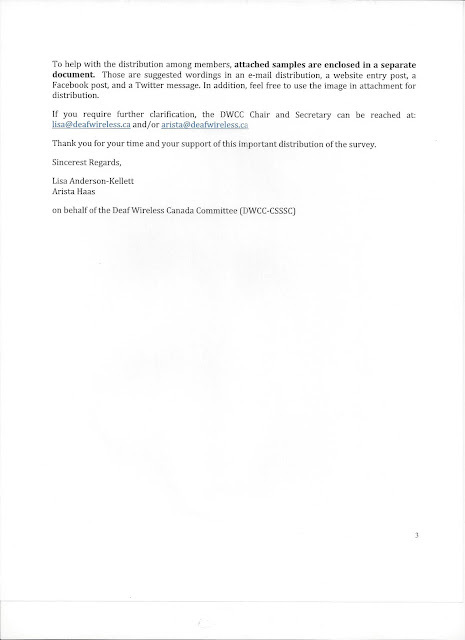 Change information received for Website building workshop! There has been a bit of change regarding ASL Interpreting for the Website building Workshop at MAWA (611 Main Street) on Oct 21st. 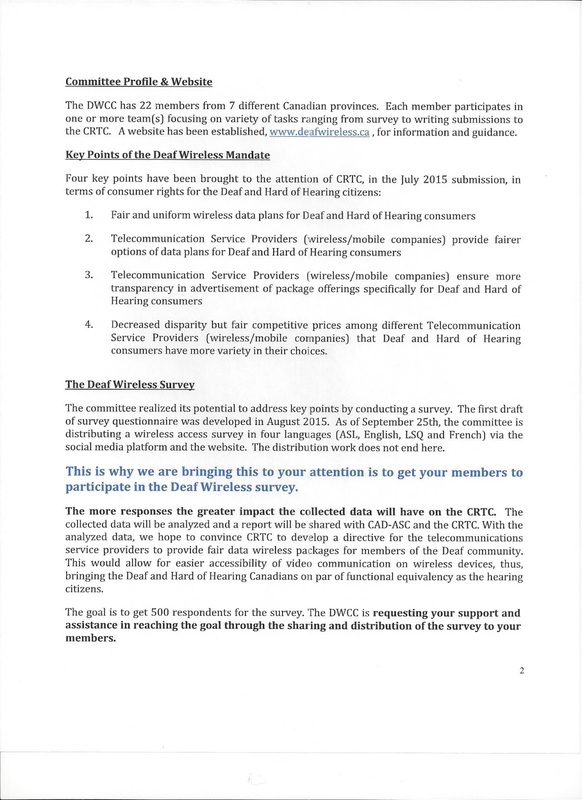 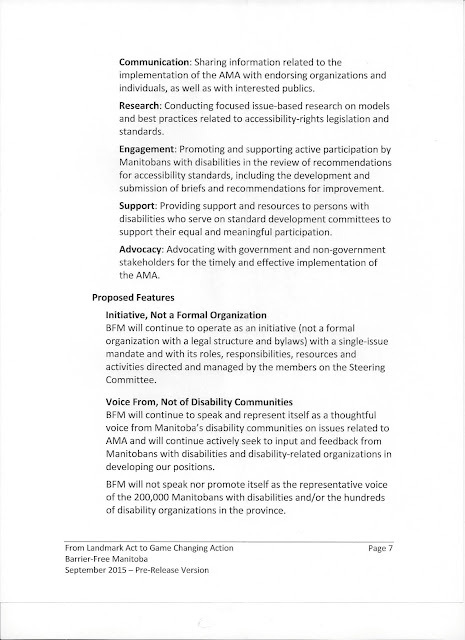 On advice, MAWA will supply ASL Interpreting on request only instead of offering it freely, since at this point it looks like that no Deaf Artists are interested in taking the workshop. 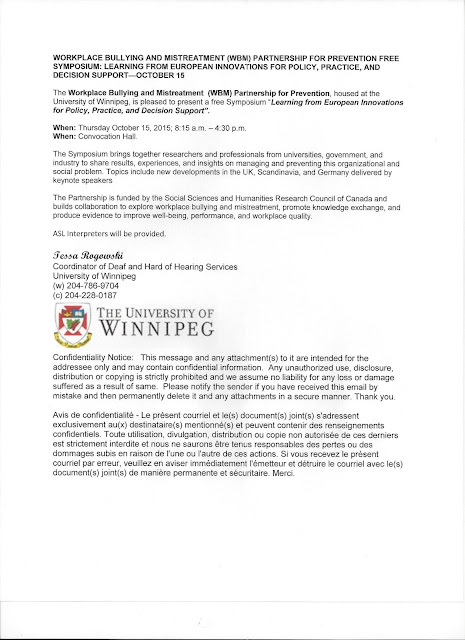 If you intend to go or you know of any Deaf person who wants to take this workshop, please contact me at wildtypography@gmail.com and I will arrange for ASL Interpreting. 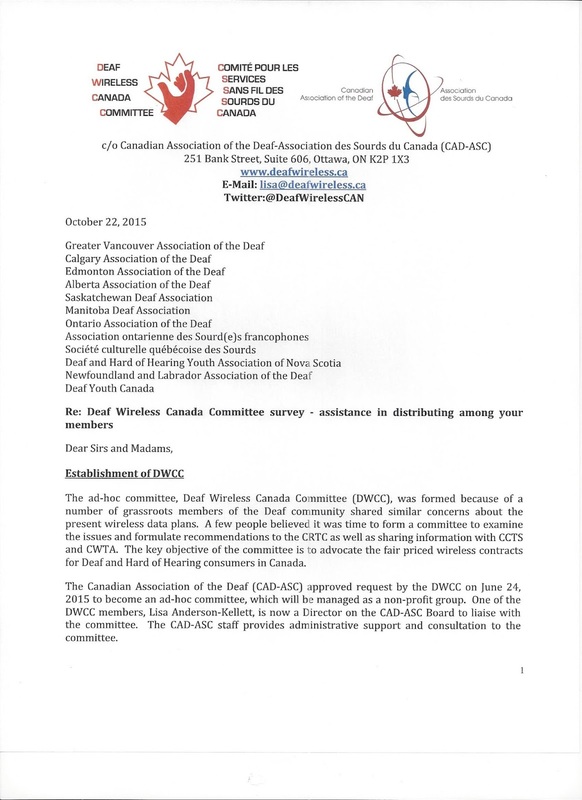 Michael Hale is asking YOU to support his petition for adding Accessibility Act for Canada! 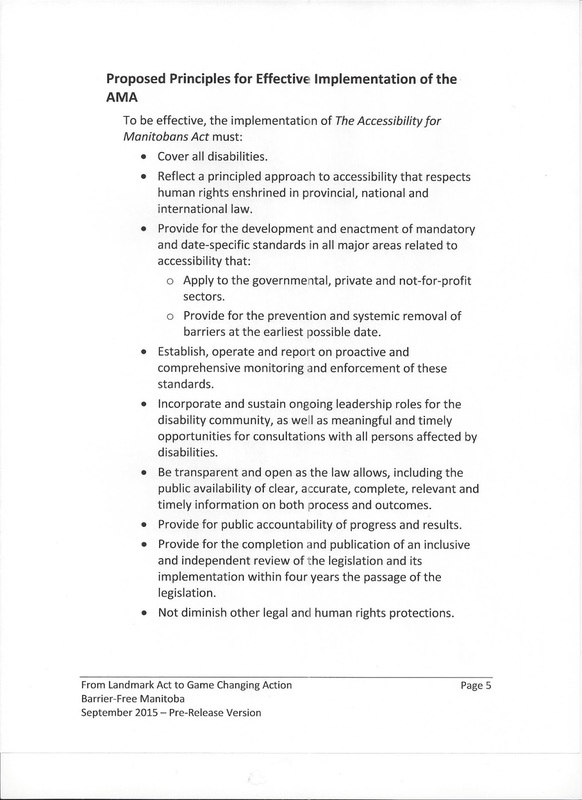 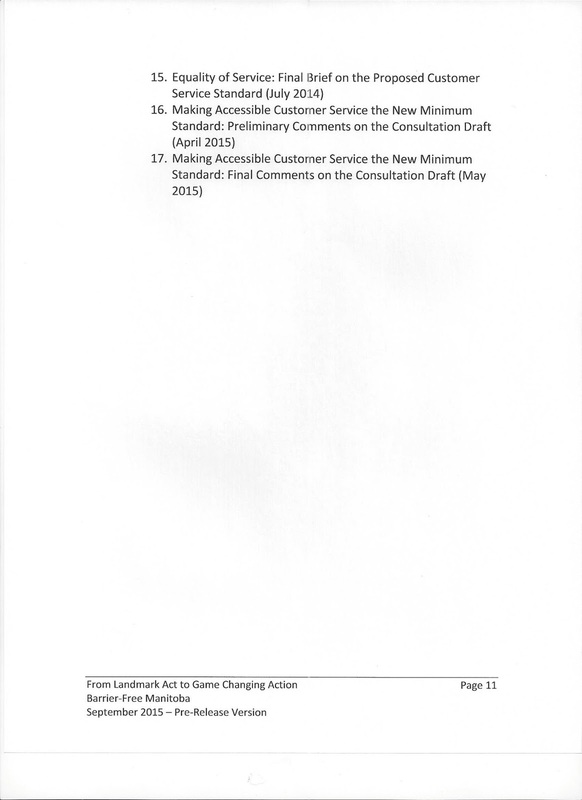 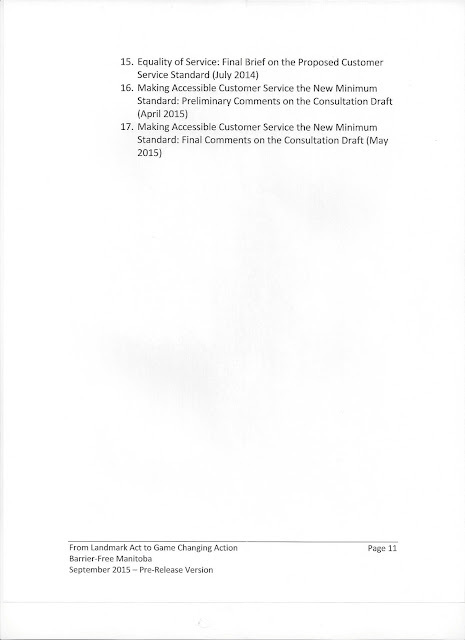 Michael Hale had developed a petition under Change Org by asking the Harper government to consider add Accessibility Act for Canada. 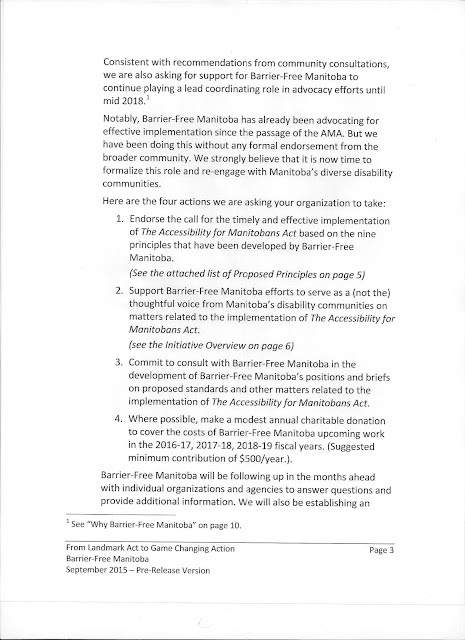 He is now asking YOU to consider sign his petition. 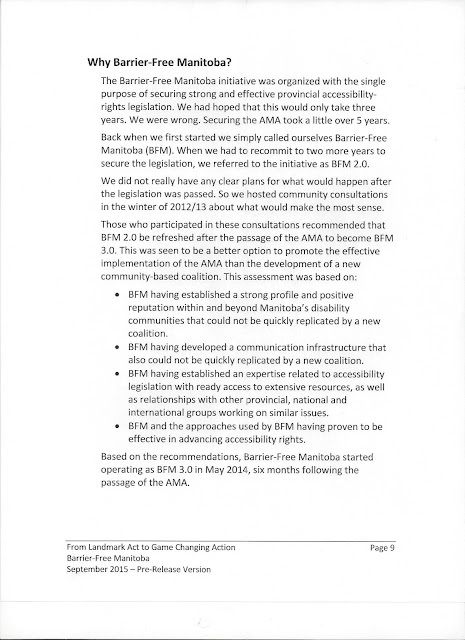 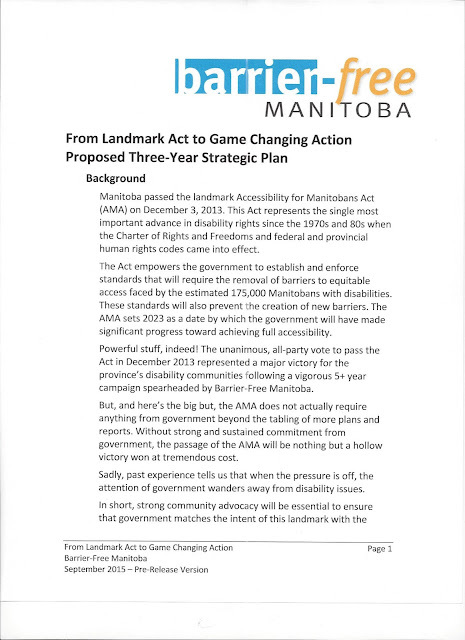 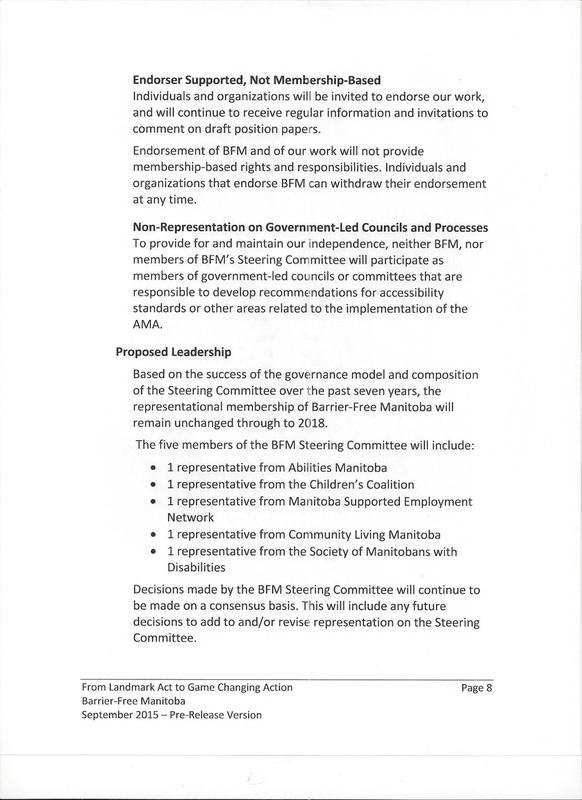 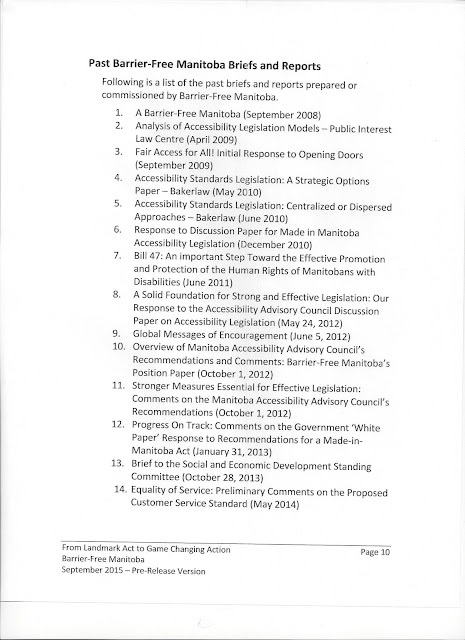 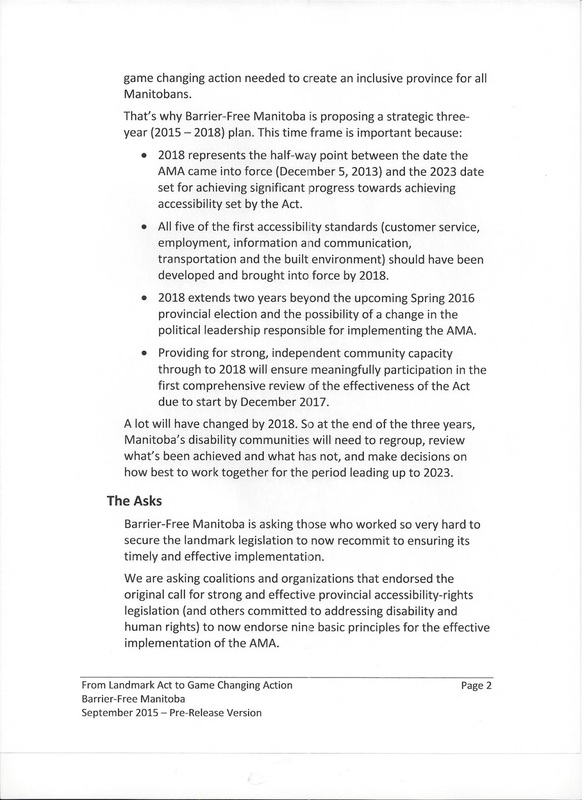 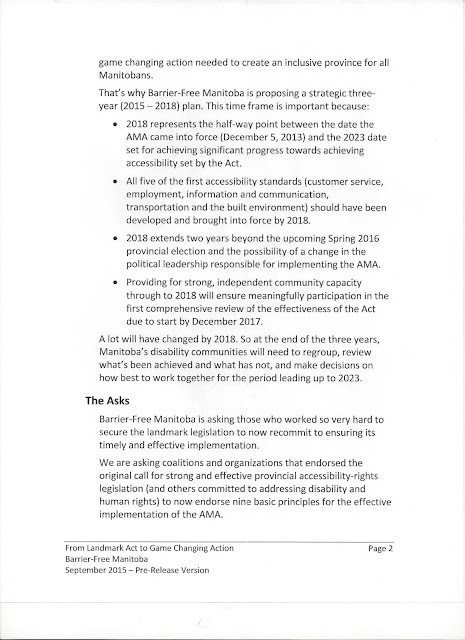 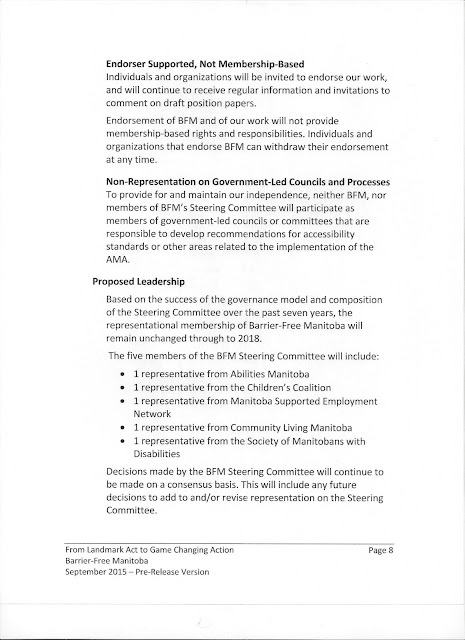 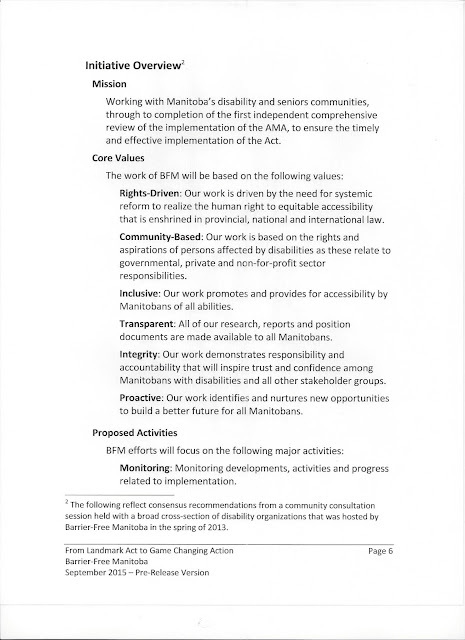 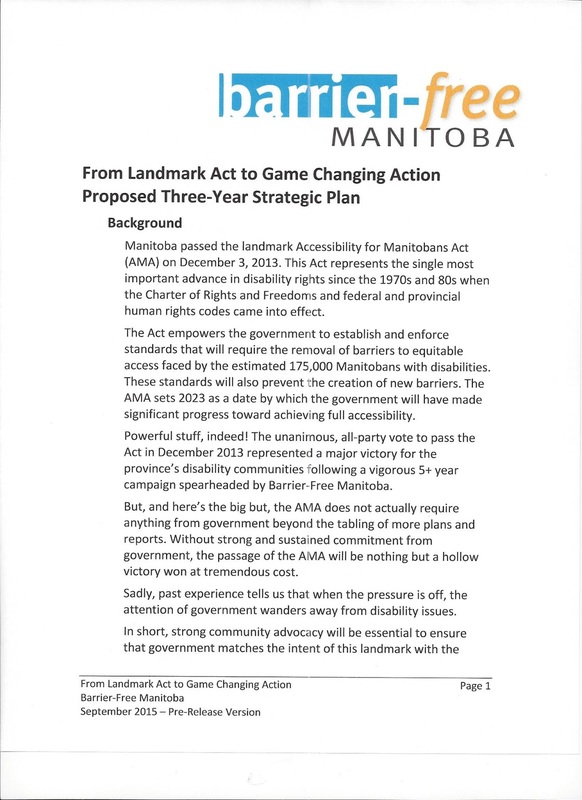 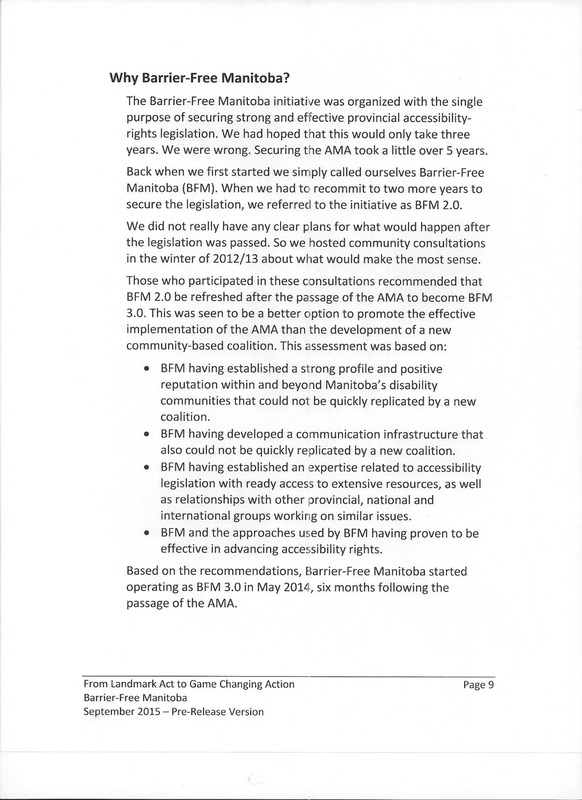 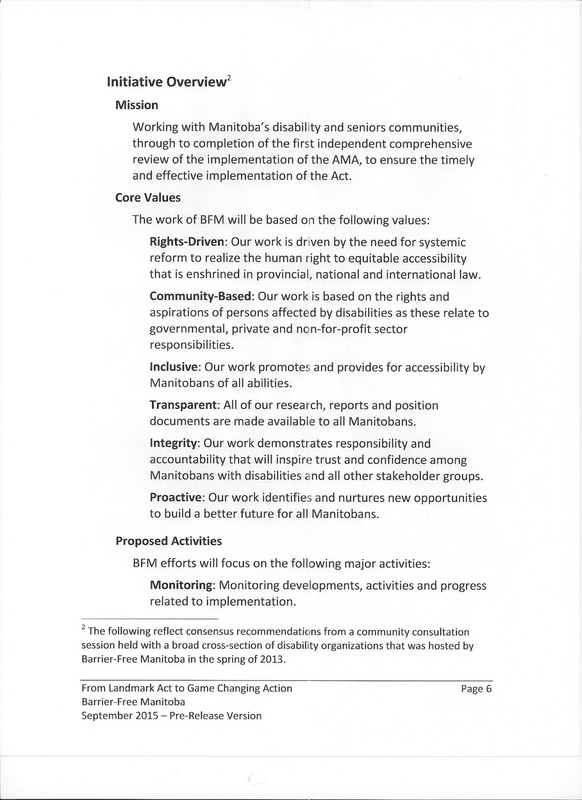 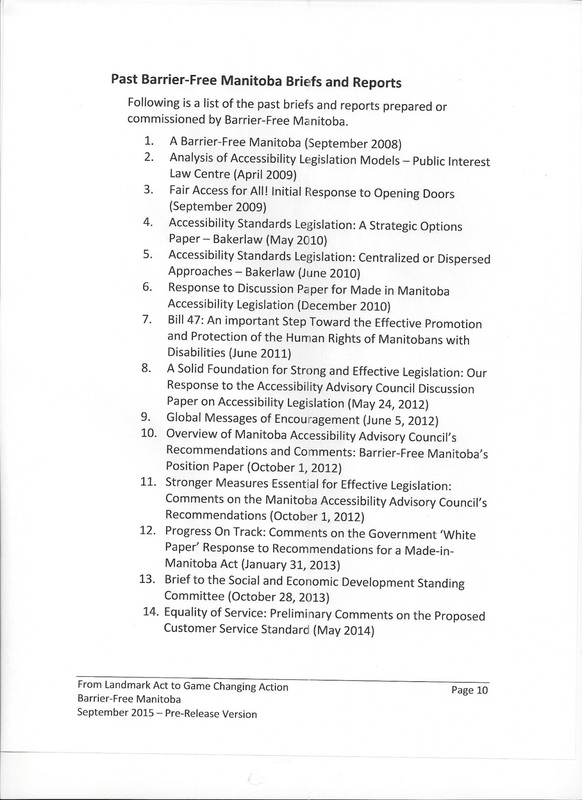 Free-Barrier Manitoba announced about the Election that is related to Canadians with Disabilities Act! · Defend the rights of Canadians with disabilities by reinstating the Court Challenges Program and fixing the CPP disability appeals process. 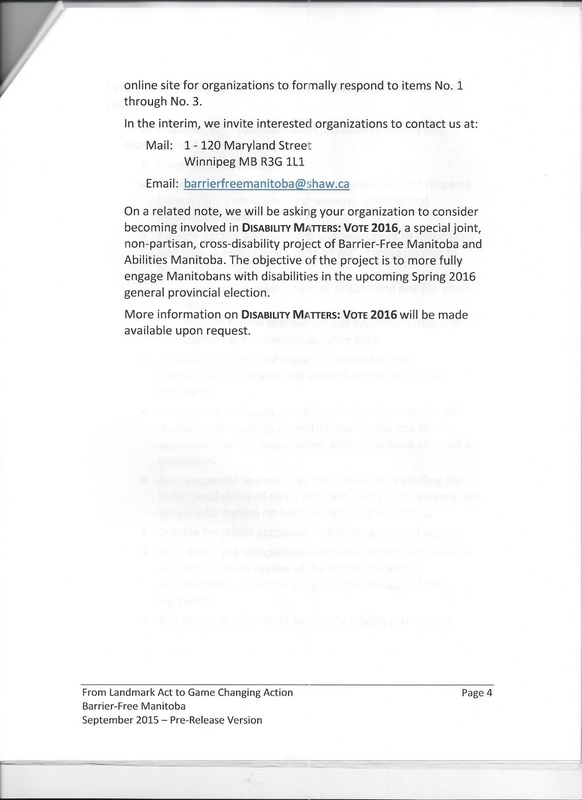 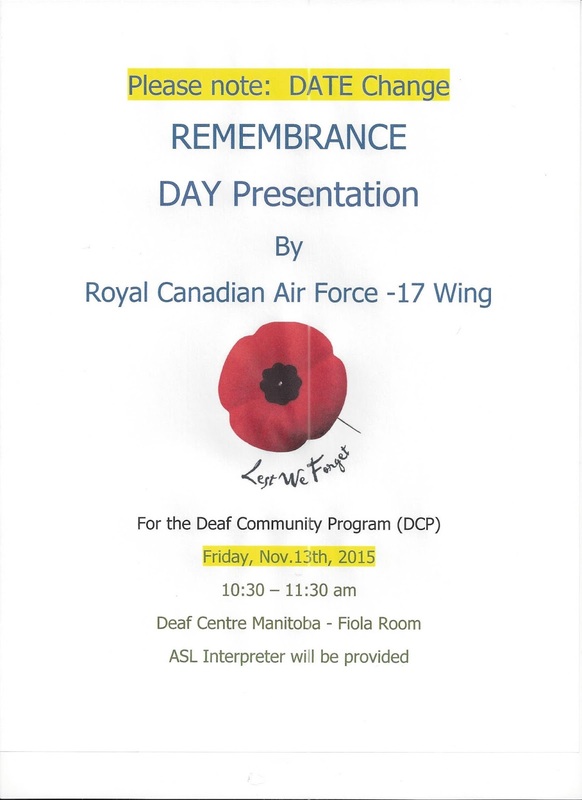 Manitoba Cultural Society of the Deaf (MCSD) is hosting a workshop- Build a website ! This evening event will be ASL interpreted. 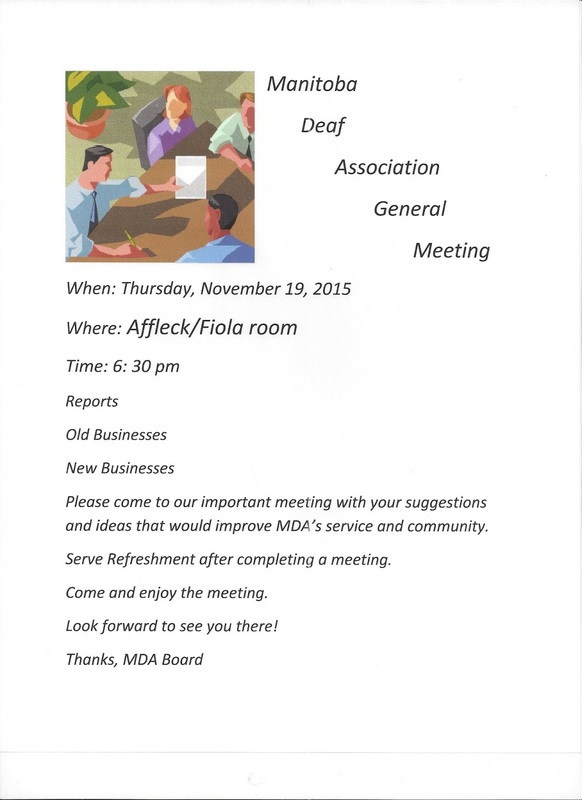 Please pass this on to Deaf artists in any media (painting, printmaking, photography, crafts, ceramics, etc.) 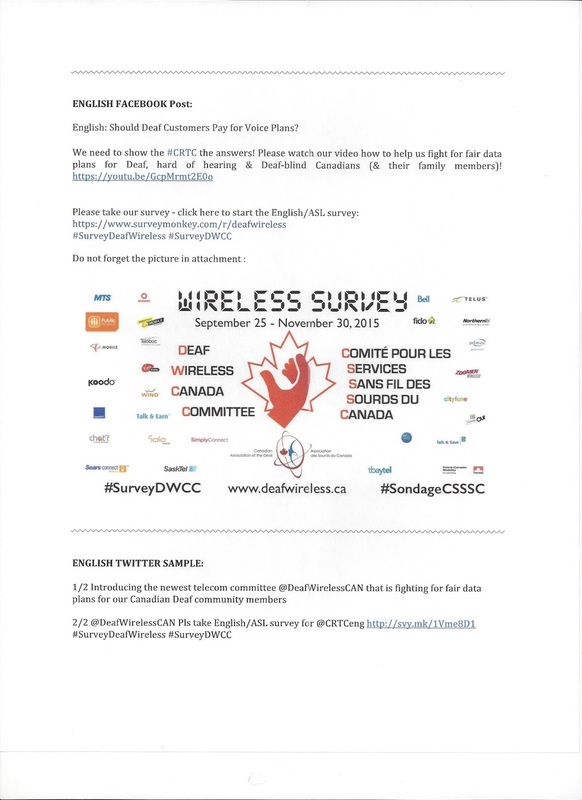 or any Deaf person who wants to build their own website from on-line website building platforms! 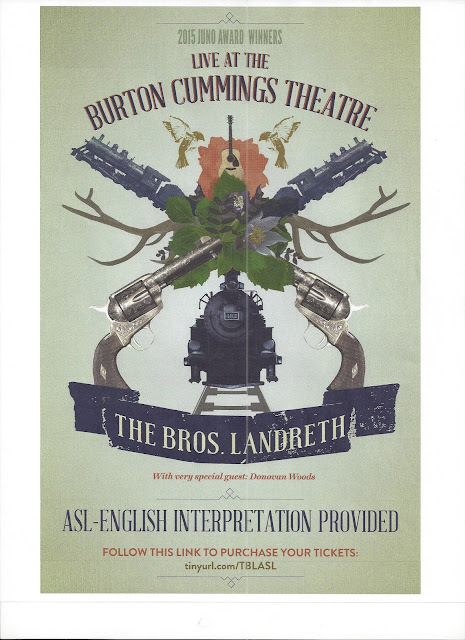 This is a really useful workshop and the ASL interpreting is free! 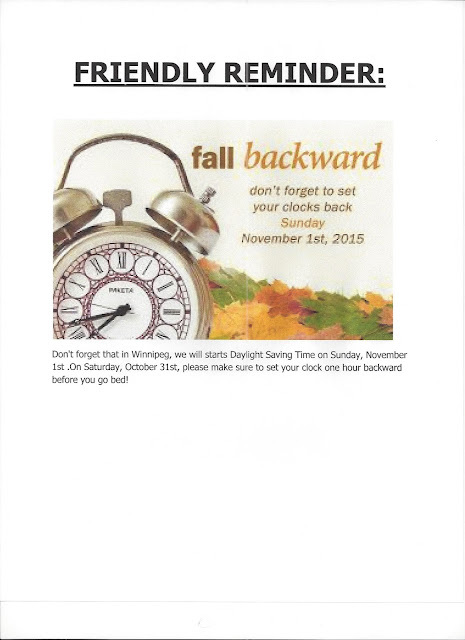 Just show up. (You don’t have to register). 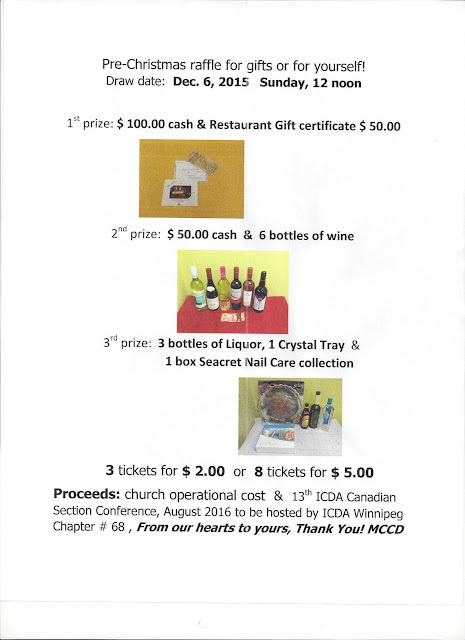 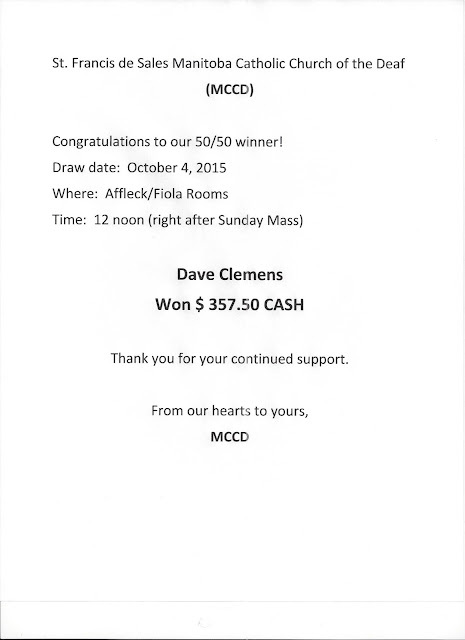 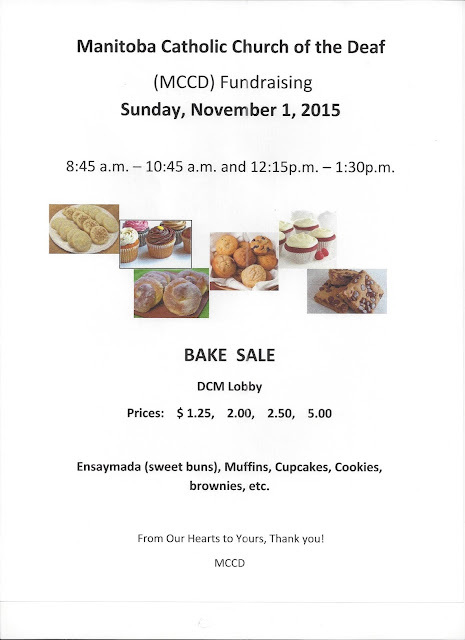 $10.00 for MAWA and/or ACI members, $20.00 for non-members. 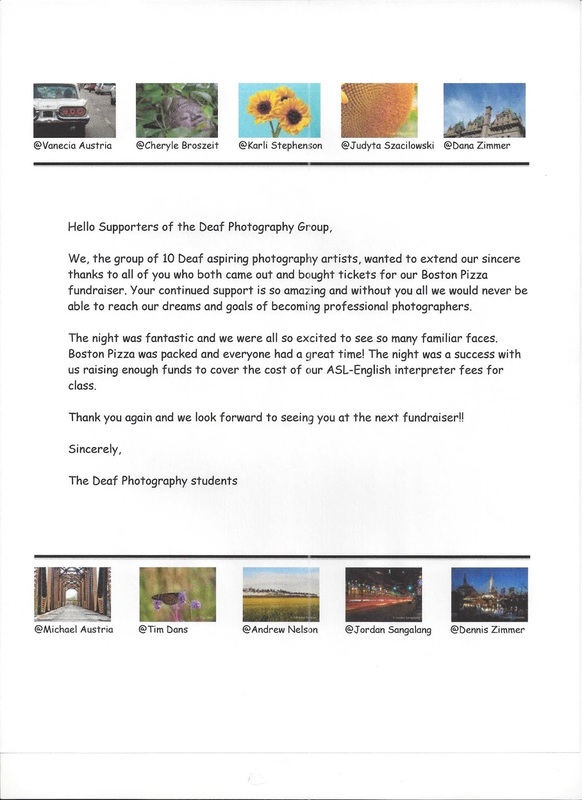 Oct 21st - 7:00 - 9:30 pm, MAWA, 611 Main Street. 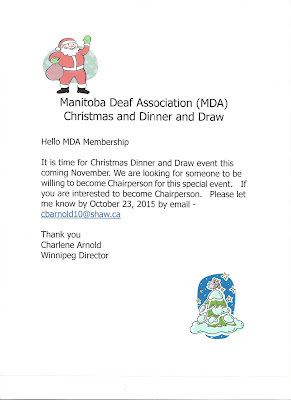 No need to register; just show up! Have you always wanted a website but haven’t gotten around to making one? Feeling intimidated by the technology and expense? 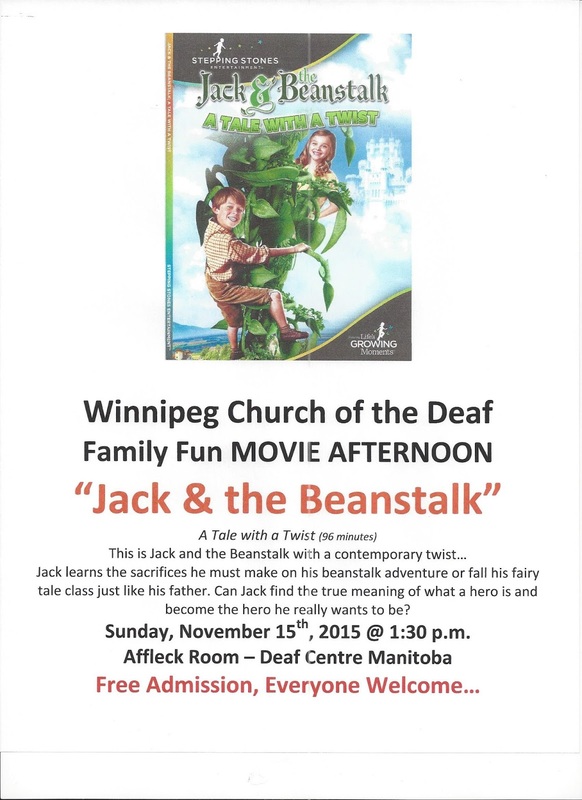 This is the workshop for you! 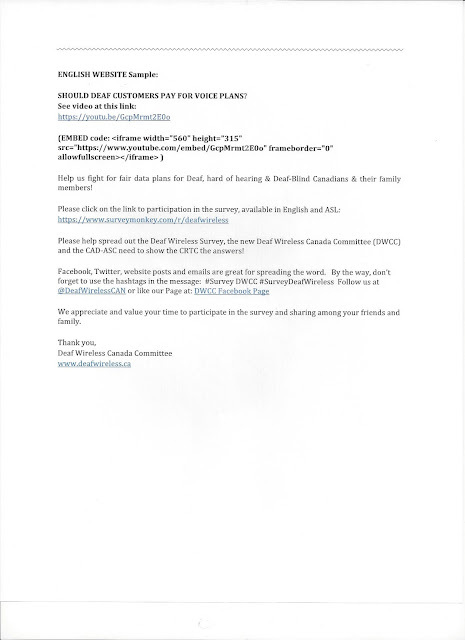 It will provide an overview of some of the most popular on-line website building platforms and will lead you through the beginnings of building a website of your own. 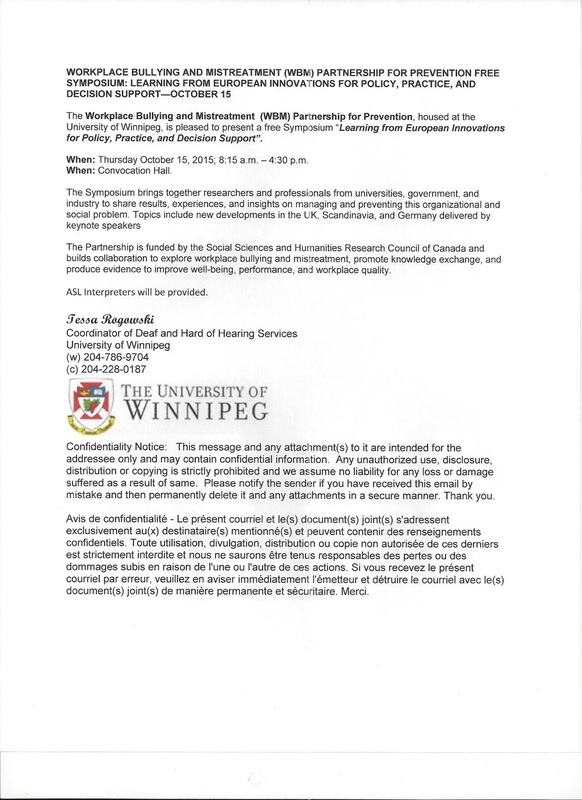 Bring a laptop (note: this is essential for participating in this workshop), some text about yourself as an artist and images of your work, and we will walk through the process using a free on-line web platform. 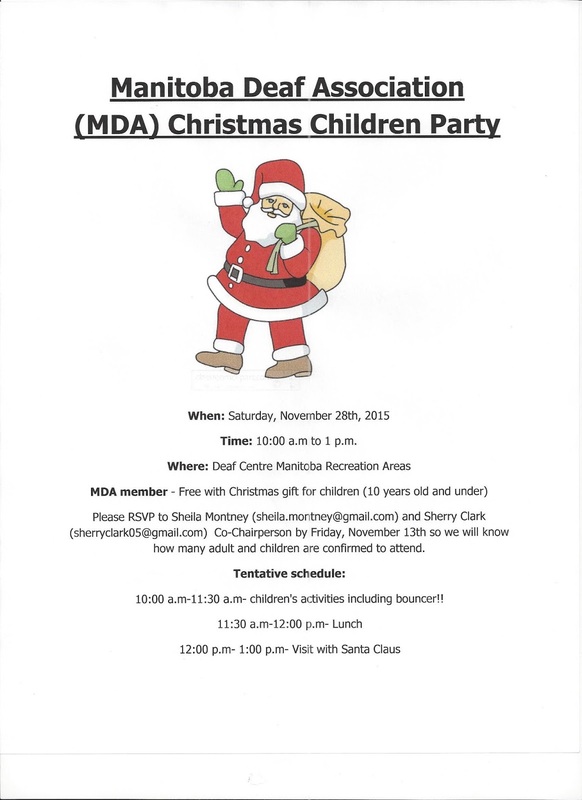 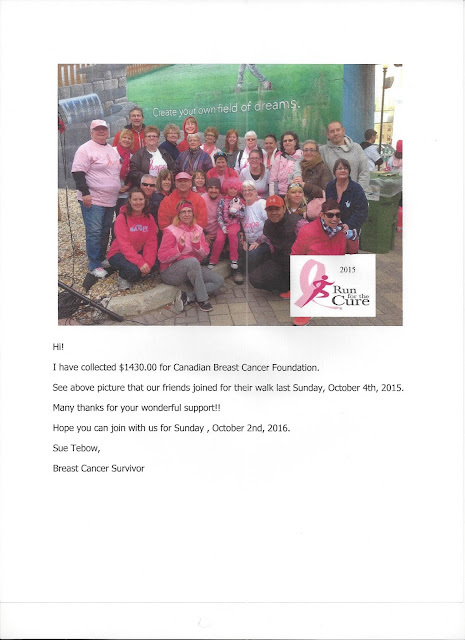 Please contact MAWA for more information.